One of the reasons you can comfortably sit in any space you inhabit is construction. The roof over your head, the building you work in, the bed you sleep in and the chair you sit in exists because of the professionals behind construction. You may be a construction professional or someone with an interest in the sector who is thinking of starting up your own business. In case you are, here are a few practical tips for starting and marketing a construction business that you may find helpful. Starting a business is something that takes up time, money and energy, so before diving in, be sure that it’s what you want. One way to do this would be to research construction businesses and find out more about how they started out, as well as the challenges they’ve faced. Also, understand what starting a business entails so that you’re prepared for the work ahead. The next step to take when starting a construction company would be figuring out whether you want to be a general contractor or a small renovation contractor. In case you don’t know what either is, a general contractor is usually an expert in building or alteration work, resulting in them dealing with private and commercial work on a larger scale. On the other hand, small renovation contractors work on projects that require small capital, eliminating their need for a base most times. With that being said, choose your niche based on which you feel is most suitable for your vision. Once you’re sure that you want to start a business, you need to devise a plan. This plan is what is going to give you direction, especially when the going gets tough. You can download a business plan template online and fill it out as you research and go along. If you’d rather a professional put one together for you, then you could pay someone to do that instead. Find below some tips to consider when writing your business plan. Begin with an Executive Summary: If you’re going to need funding to start your business, you want to start your business plan with a strong executive summary. This should demonstrate your understanding of the market, demonstrate your unique selling proposition and also show your business is sustainable. Remember it’s Not Set in Stone: Note that your business plan should be an active document that you revisit continually. It can be changed and amended as you go along so that it aligns with your business objectives. Seek Support: It’s okay to ask for help when you’re putting together your business plan. If you check with your local business organisation, you’re likely to be able to find the right support. The more support you have, the better your chances of getting your business off to a good start. Starting a construction business won’t be the easiest thing that you do, so having the right knowledge is essential. You need to know as much as possible about your industry as well as the ins and outs of construction. One way that you can do this would be by completing an online MS in civil engineering as you’d be learning about design techniques, structural dynamics, and materials. This is excellent knowledge to have, especially if you intend to help work on some of your client’s designs. Aside from higher education, there are other courses and qualifications that you can get to boost your knowledge. A marketing plan is crucial if you want to get clients as a new construction company. However, the approach you adopt for marketing will be guided by the business model you chose and the types of customers you’re trying to attract. Nevertheless, below are a few tips for devising a marketing plan that will work. Join an Industry Association: To gain traction in your marketing efforts, join an association. This is because you should be able to get quality connections which are necessary for the construction industry as leads come from relationships and reputations. Manage Your Social Media: Your social media is another key to success, so use it wisely. Ensure that your social media is active and up-to-date so that you’re able to build a community, as well as positively promote your brand. If you don’t feel like you can juggle the business as well as marketing, consider using a social media management service. Use Visual Media: Seeing as video has become so popular, you’ll want to leverage this when sharing content. Video can be used to increase revenue, lower costs, and improve customer engagement, so think about how it can be incorporated in your marketing plans. Within the construction industry, there are so many rules and regulations. Knowing them is a must if you plan to run a thriving business. This should help prevent you from breaking the law or being fined by governing bodies. Many of these regulations tend to be health and safety related, so keep that in mind before you start operating. Aside from this, other areas you should be concerned about are insurance, tax, CIS and so much more. If you’ve never heard of CIS, it’s the Construction Industry Scheme that was set up by the government so that there’s a payment handling system that contractors can use to handle payments. Keeping this in mind, when registering your business, whether it’s a limited, sole trade or partnership, be sure to register under the CIS scheme if you’ll be working in construction. In order to land the clients that you want, you’re going to need to build a good network. Mingle in the right communities and also connect with relevant people online. As mentioned earlier, excelling in construction is all about what and who you know, so build relationships and make connections so you’re able to start off on the right foot. Starting a business in construction can be an adventure if it’s something you’re passionate about. The goal should be to take your time and focus on planning and acquiring knowledge until you’re ready to get started. 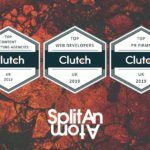 Marketing Director at Split An Atom. Canadian, loves to design, illustrate, and make music.